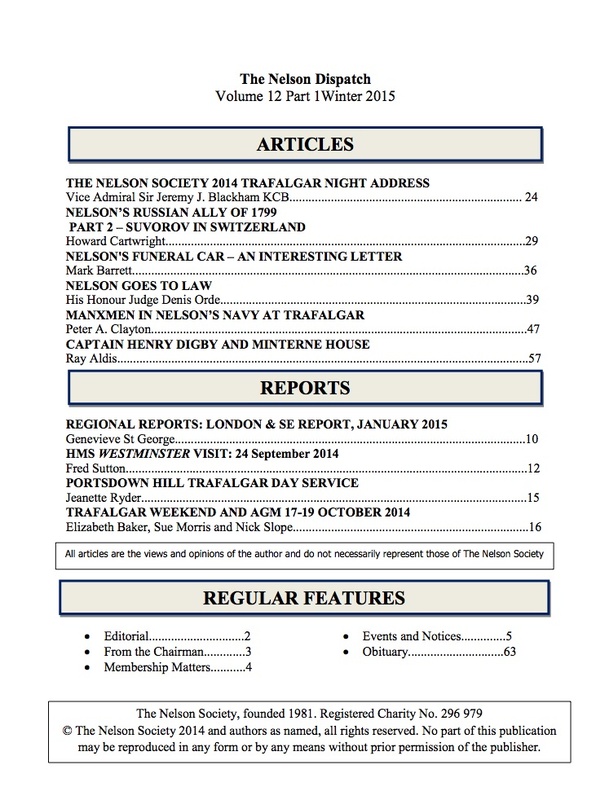 The Nelson Dispatch is the quarterly journal of The Nelson Society and is distributed free to members. 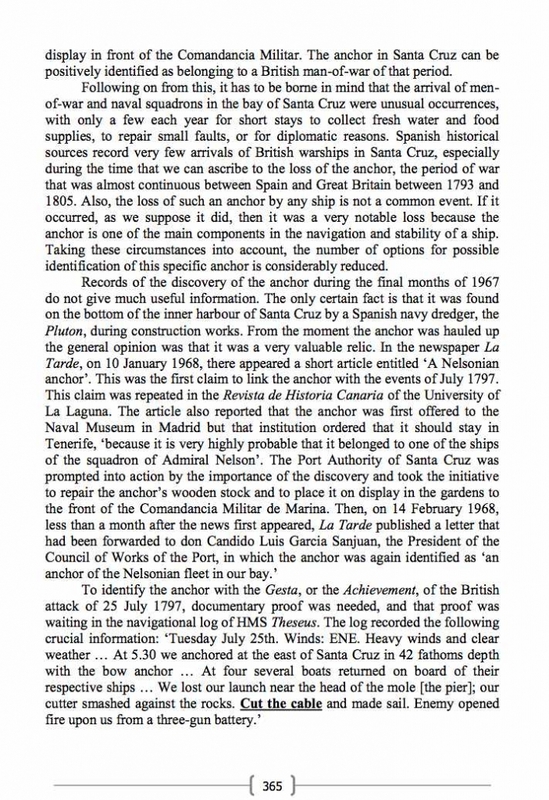 The production of this journal is the responsibility of the Editor and is the principal vehicle of communication between members. 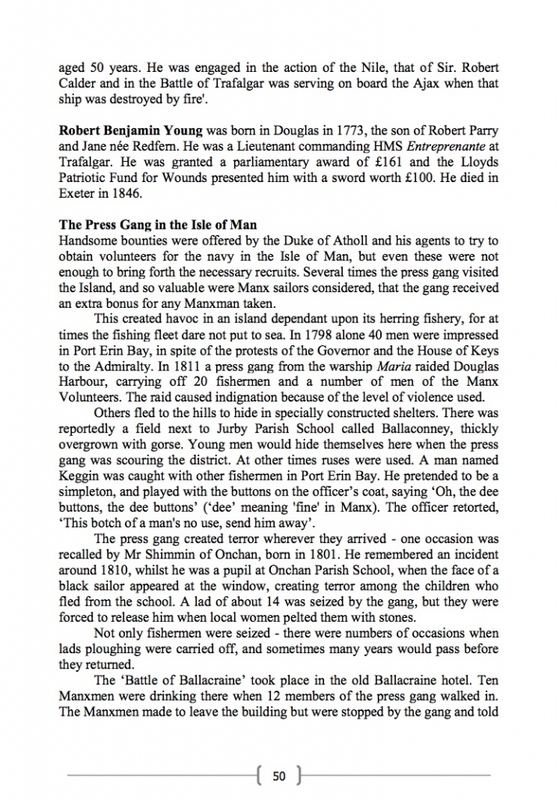 Reports on all aspects of Society activities and forthcoming events are included. Articles from many sources are published and there is always new material surfacing from a worldwide membership. 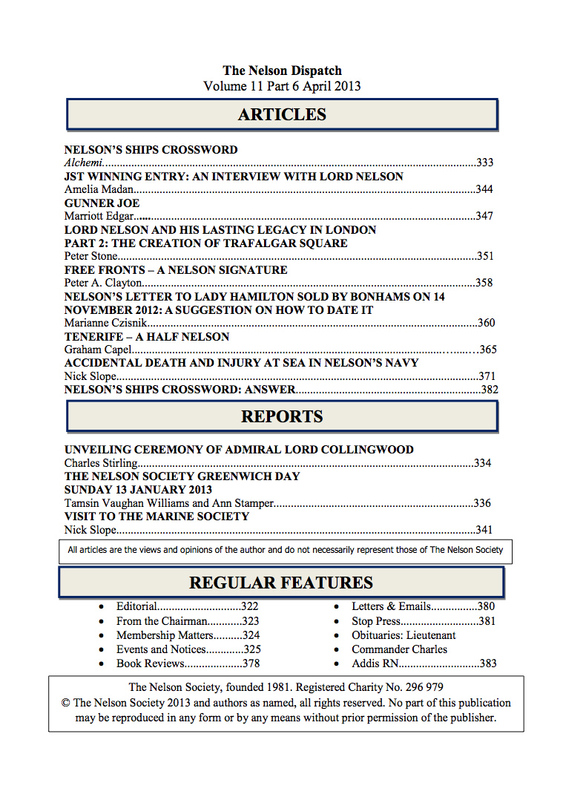 Issues are published in Spring, Summer, Autumn and Winter. Articles, letters etc. should arrive no later than 1st of December, March, June and September respectively. 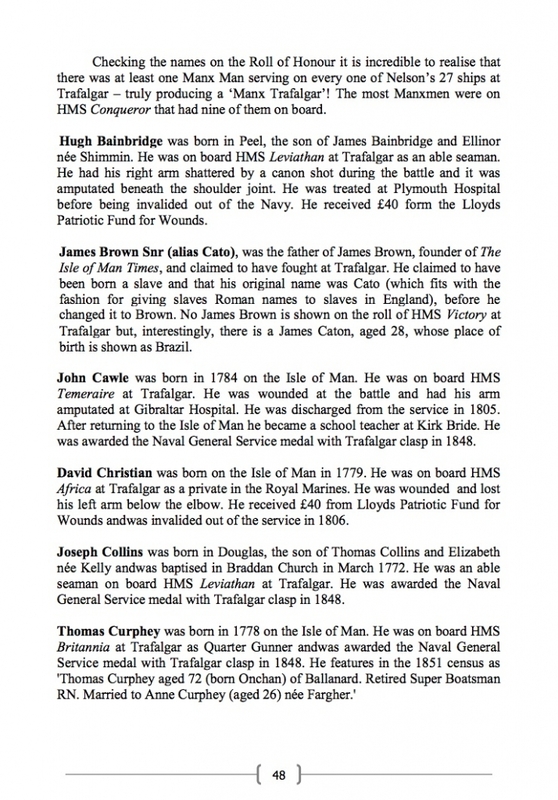 Tombs, Memorials and Graves: We are always anxious to hear about the last resting places of officers, sailors and marines who fought under Nelson’s command. There are many thousands of such clues hidden away in churches and graveyards all over Britain and Europe. If you stumble across one – please let us know. 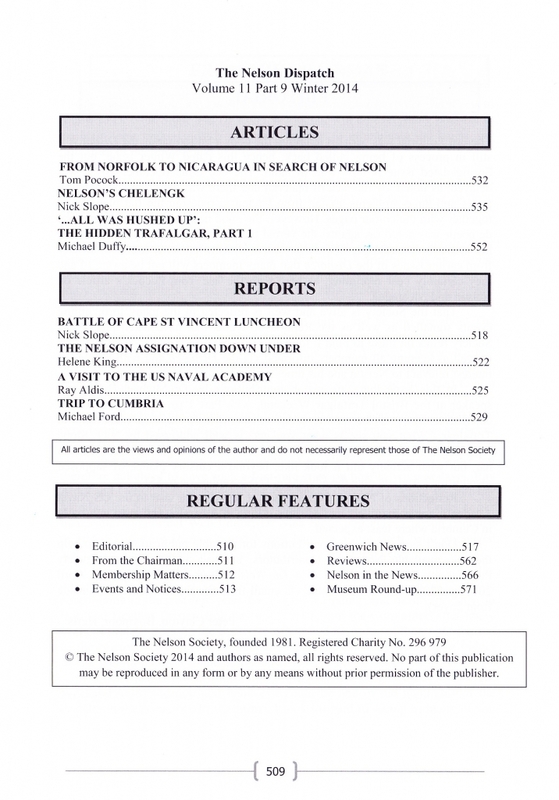 Annual membership of The Nelson Society includes a free copy of The Nelson Dispatch, published quarterly, and currently distributed to 22 countries world-wide. 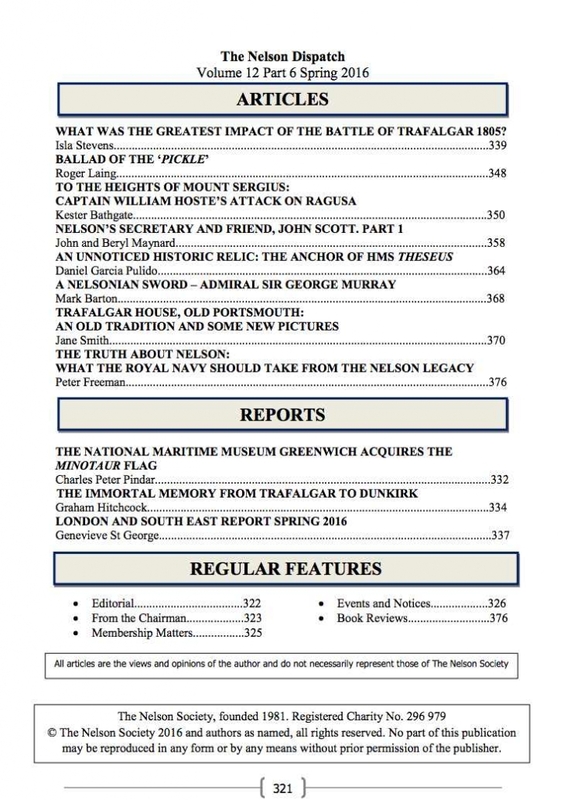 Limited number of back issues available @ £4.50 each or £30.00 per volume of twelve issues. An article from the Summer 2016 edition of the Nelson Dispatch. 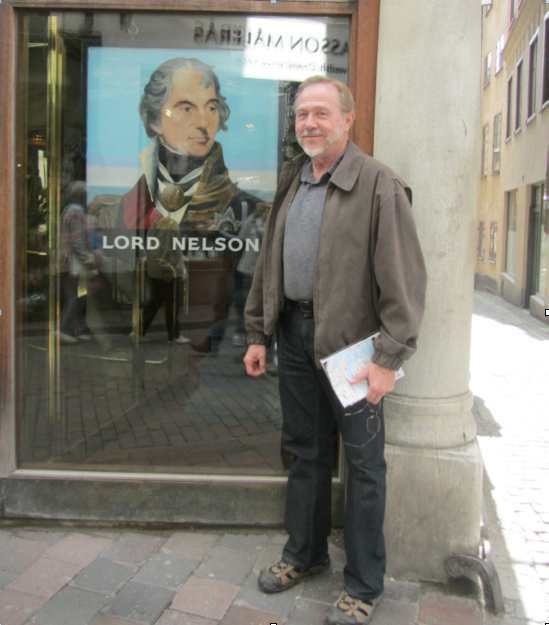 Nelson Society members will travel far and wide in pursuit of their Hero and on 15 May, 22 members excited by the prospect of viewing new Nelson material, made their way to Piraeus, the port of Athens. The visit was at the kind invitation of the Laskaridis Foundation and organised by Nick Slope following his initial investigations into the Foundation’s Nelson collection. We convened on Sunday evening at our hotel, the Poseidonio, conveniently situated in a quiet street midway between the Port of Piraeus and the lively seafront of the Zea Marina. On Monday, our first full day, we made the ten-minute walk to the Aikaterini Laskaridis Foundation, which is housed in an elegant neo-classical building overlooking the Zea Marina. We were welcomed by the curator Admiral Konstantinos Mazarakis and the staff, and treated to a presentation and tour of the Historical Library, which contains some 300,000 titles in 25 collections covering Maritime Law, History, Travel, Literature, Philosophy and Art. The Nelson Library collection contains some 3000 books and amongst its treasures we were delighted to spot some Nelson Society publications. 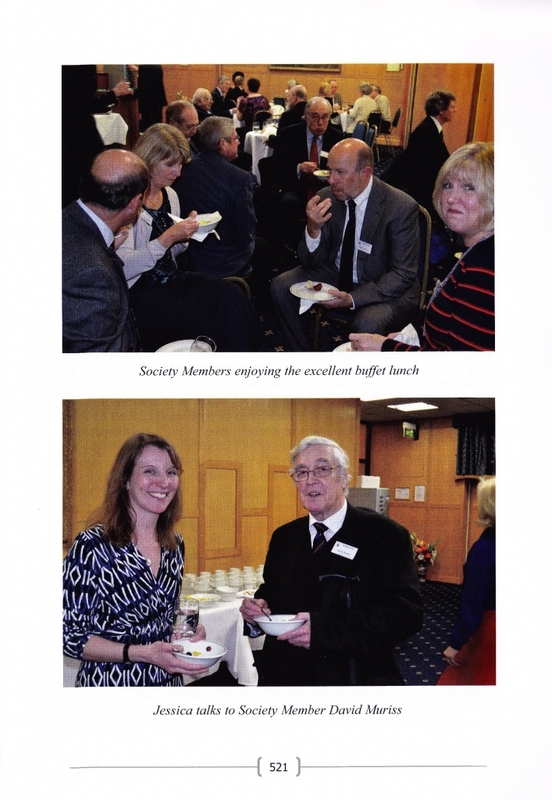 A Nelson Society ‘ship’s crest’ was presented to the Foundation to mark our visit. After an open air seafood banquet lunch at a nearby taverna, we returned to the Foundation for a lecture by Nick Slope introducing us to the Nelson Letter Collection, and then we were able to see and handle for ourselves many important items including autograph documents, letters, ephemera and works of art. The building is a treasure trove of maritime paraphernalia – anything from ship models and scrimshaw to Spanish Armada guns – and every room revealed new surprises. Heads buzzing with this experience, we retired for an evening stroll in Piraeus harbour and further investigation of local hostelries of Pasalimani Marina. On Tuesday our coach transported us further along the coast from Piraeus to Palaio Faliro, to visit the Georgios Averof, a finely restored 1910 Italian-built armoured cruiser which saw service in the Greek Navy during the Balkan Wars, WW1 and WW2. Our host Konstantinos gave a personal guided tour of the ship and we were also treated to tea and cake on board in the panelled dining room. As an unexpected bonus we were also able to see at close quarters a full size working replica ancient Greek trireme and were reminded that the Zea Marina had been the trireme port of ancient Greece and site of the ship sheds which produced the vessels with which the Greeks defeated the Persians at the battle of Salamis in September 380 BC. After a ‘traditional lunch’ we returned to Piraeus and the Hellenic Maritime Museum, where we saw the evidence of the importance of the sea in Greek history and examples of ship design from Minoan to modern times. We enjoyed a free evening to relax over souvlaki, chips, Greek salad and a bottle or two of retsina. No visit to Athens could be complete without a visit to the timeless Acropolis, and on Wednesday our coach collected us at 730am for the drive into central Athens, where our guide Alice met us for an early morning tour ahead of the crowds. We walked up through the Acropolis olive groves to the Parthenon, the Temple of Athena Nike, the Propylaia and Erechtheion, and enjoyed an excellent view of the Theatre of Dionysos down below the Acropolis and a splendid panorama of Athens from the Belvedere. A tour of the new Acropolis Museum (inaugurated in 2009) enriched our understanding of Greek sculpture, and the Parthenon Gallery displays surviving sculptural decoration from the monument, many of the metopes and frieze blocks, set in place between cast copies the controversial ‘Elgin Marbles’, in the British Museum. We enjoyed a walk through the old town ‘Plaka’ and a traditional Greek lunch at the Old Tavern of Psaras. A final coach tour took us past many more interesting sites including the Temple of Olympian Zeus and Hadrian’s Arch that in antiquity had marked the demarcation between old Greek and the ‘modern’ Roman Athens, then we headed back to Piraeus for a final evening meal together to reflect on the experiences of the trip. Some of the group left on Thursday but for some of us there was further free time to explore Athens, take a trip to the Temple of Apollo at Delphi, and catch the ‘flying dolphin’ to the pretty island of Hydra, before flying home. Our grateful thanks go to Nick Slope for the careful planning and detailed organisation of this most enjoyable visit, and to Admiral Konstantinos Mazarakis and the staff of the Laskaridis Foundation for the warm and generous welcome extended to us. The highlight of the trip was undoubtedly the visit to the Laskaridis Nelson Collection and we eagerly look forward to further news of the results of collaboration between the Foundation and the Nelson Society. An article from the Spring 2016 edition of the Nelson Dispatch. 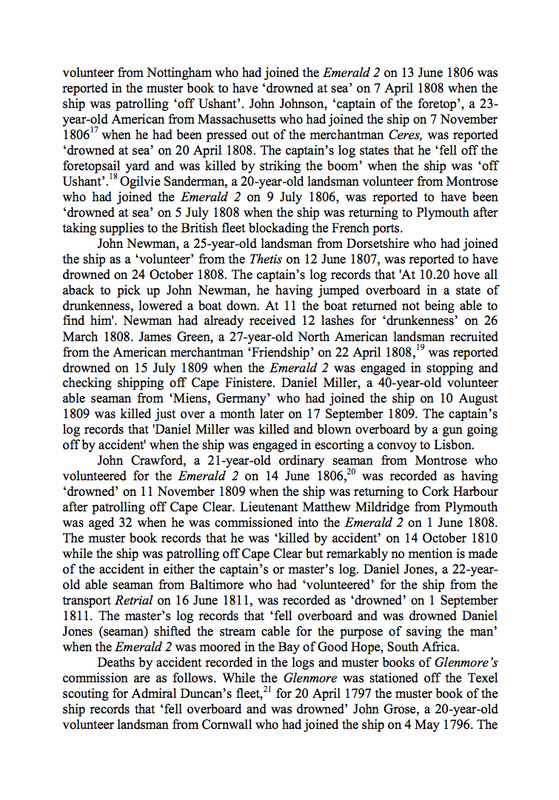 An article from the Winter 2016 edition of the Nelson Dispatch. Aboukir, Trafalgar: two centuries ago, Horatio Nelson had an uncanny knack for surprising the French in the most unlikely places. In the summer of 2015, he surprised two Americans….in Stockholm. In July, my wife Sylvia and I completed a thrilling cruise to the Baltic countries in Stockholm, where Sylvia had booked us two nights at the Victory Hotel in Gamla Stan, the small central island containing Stockholm’s Old Town. Catering to my penchant for all things Nelson, online she chose gleefully from amongst the Lord Nelson, the Lady Hamilton and the Victory hotels. Upon arrival, we learned that all three of these boutique hotels in the Old Town are owned by the Bengtsson family, which has furnished them with maritime antiques collected over 60 years by the family patriarch, Mats Bengtsson. We discovered the Victory Hotel to be chock-a-block with memorabilia from the sea. Each bedroom is named for a Swedish sea captain; we were in the Captain Johnsson room, with walls lined with pictures of ships under sail: painted, modeled and needle-worked. The stairway is lined with ships’ fittings and nineteenth-century prints and paintings from the age of sail. On the landing there was an entire presentation case of ships in bottles. The heart of this collection is on the ground floor, in the public rooms. 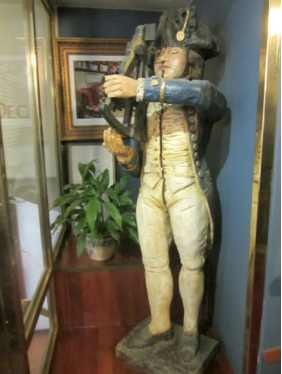 The hotel entry features an exquisite model of HMS Foudroyant, which served as Nelson’s flagship from 1799 to 1801. Based in the Bay of Naples, it patrolled the western Mediterranean in support of the Kingdom of the Two Sicilies and its royal family, against the forces of Napoleon. It was subsequently wrecked off Blackpool, 16 June 1897, and many souvenirs, including furniture and commemorative medallions made from its copper, were made from its salvage. The bars are stocked with colourful carved figureheads from sailing ships. A portrait of The Hero faces a portrait of wild-eyed Emma in her attitude as a Sybil (a print of the Romney painting). 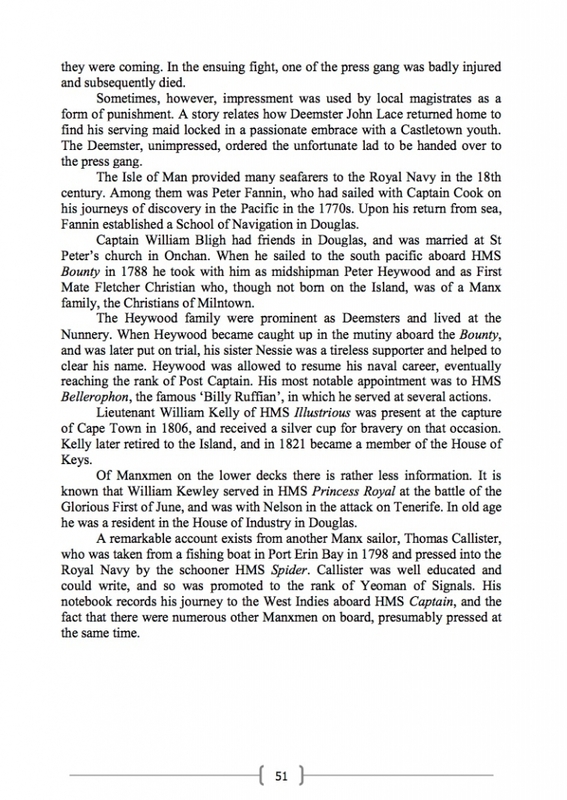 This letter is from the collection of Thomas Pettigrew. 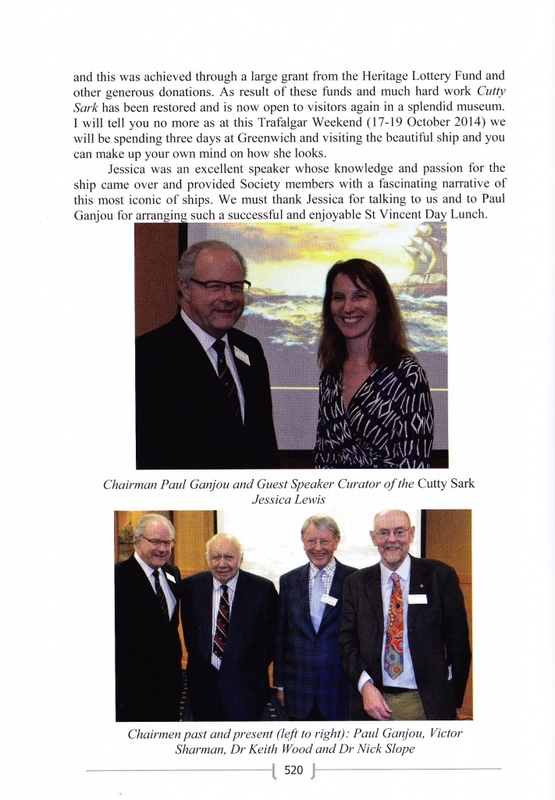 Mats Bengtsson, owner of the hotels, purchased it at an auction which raised money for the restoration of the Mary Rose at Portsmouth. Our appetites whetted by these discoveries at the Victory, we strolled up Gamla Stan’s bustling central pedestrian street, Vasterlanggaten, to the Lord Nelson Hotel. Here, the walls are adorned with paintings and prints of The Hero at Trafalgar, featuring memorabilia from the aftermath of victory. 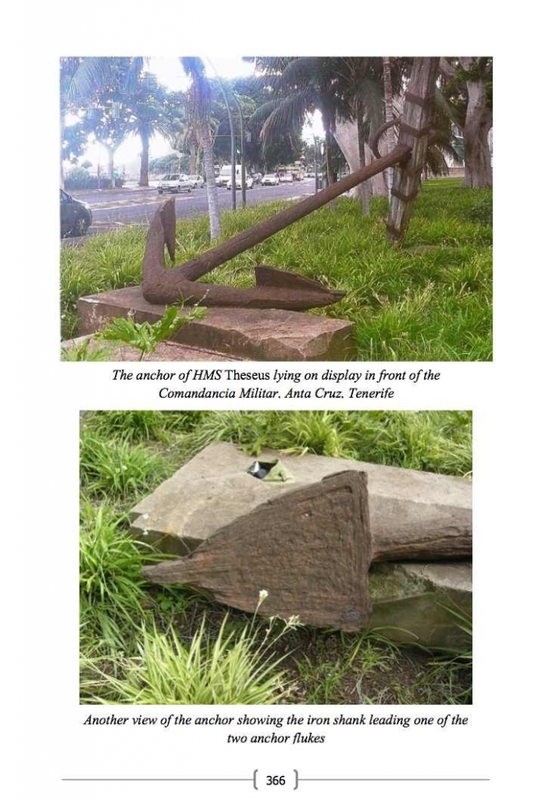 For me, the absolute pick of this litter was a ship’s prow carved as Vice-Admiral Nelson holding a sextant up to his blind eye – a tweaked allusion to the Battle of Copenhagen. About two blocks from the Lord Nelson, we found the Lady Hamilton Hotel, in the shadow of Gamla Stan’s Lutheran Cathedral. We entered the lobby, noting right away a lighter, more feminine atmosphere to the décor. The breakfast room, with tall windows and bright colours, is particularly inviting. 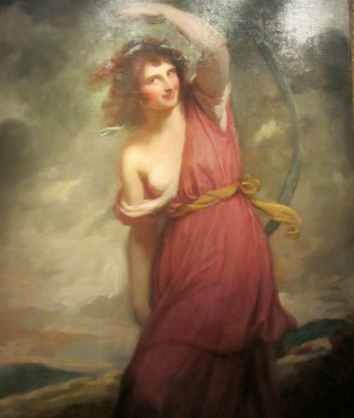 On the walls are prints and paintings of Emma in all her many attitudes; here, the prize is in the lobby: a large-scale copy of Romney’s painting of Emma as a bacchante. When our Baltic cruise stopped in Copenhagen, we toured museums and historic castles, finding, understandably, no painting or other mention of the Battle of Copenhagen. What a surprise, then, and a delight for us, in light of the blind eye Denmark turns on its naval defeat…to find Stockholm stocked with Nelsoniana at these three crown jewels. ‘I shall take my plate with me: sink or swim it goes with me’. 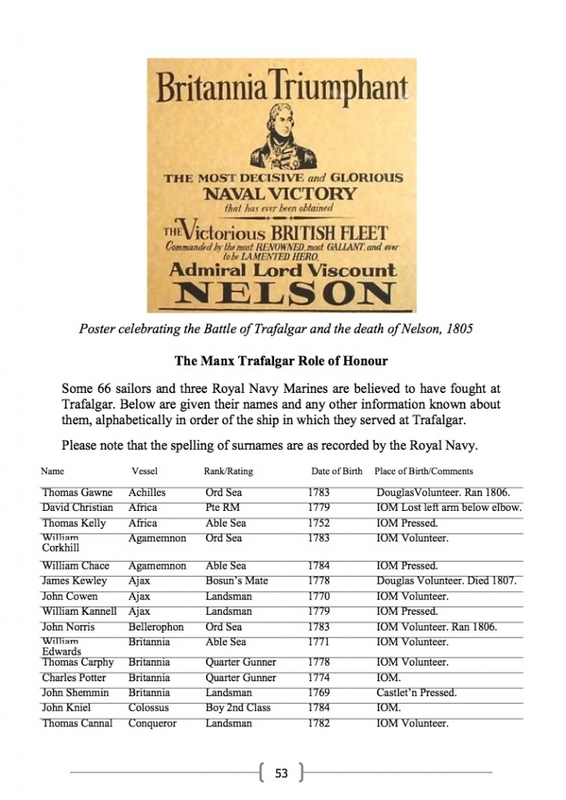 During the night of 1-2 August 1798, off the coast of Egypt, Rear Admiral Sir Horatio Nelson scored one of the most extraordinary and dramatic victories in British naval history. 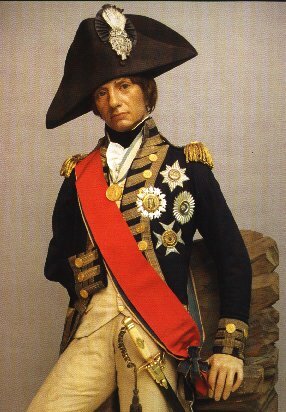 Leading a squadron of 14 warships in a highly daring manoeuvre, Nelson engaged the French fleet in fading light whilst it lay at anchor, and apparent safety, in the bay of Aboukir near the mouth of the Nile. By morning, 11 enemy warships were captured or destroyed, eliminating the French naval threat in the Mediterranean and lifting the danger to British and allied interests in the east as far as India. 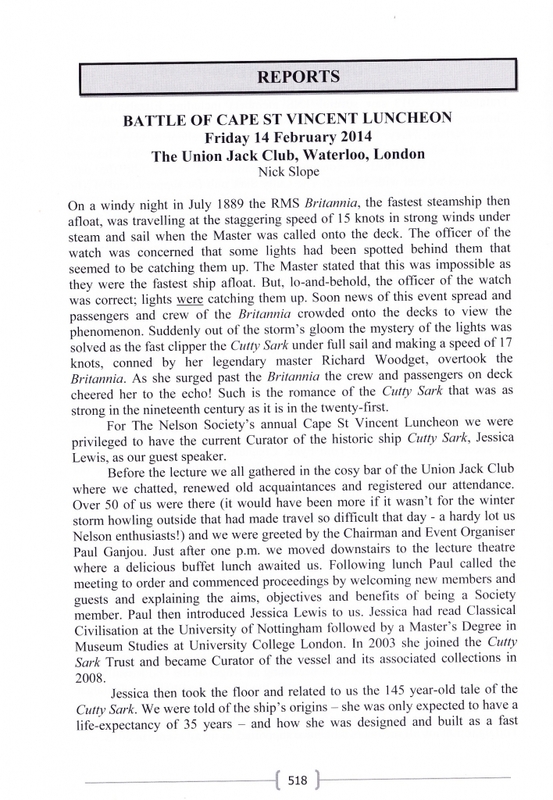 It was a sensational event thrusting Nelson and his ‘Band of Brothers’ of Nile captains into celebrity. They all shared in the rewards of prize money and gold medals but inevitably it was Nelson who was showered with titles and glittering gifts from relieved monarchs and grateful trade interests across Europe. 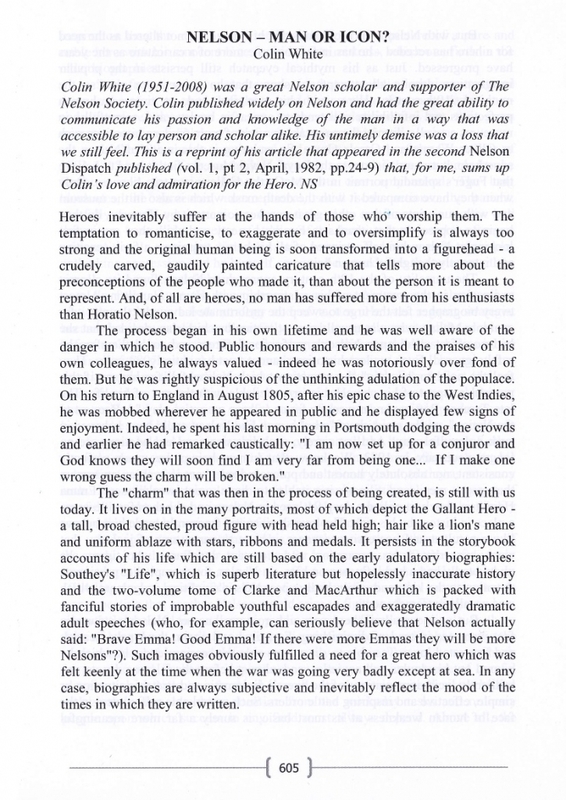 In April 1800, even before Nelson was back in England, the Naval Chronicle published a summary chronicling and valuing this extravagant outpouring. It included flamboyant presentation swords from Nelson’s fellow officers and the King of the Two Sicilies; diamond set boxes from the Emperor of Russia (value £2500) and King of Sardinia (value £1200) and a diamond and gold mounted walking cane from the island of Zante. The despotic Sultan of Turkey, being especially thankful for his country’s liberation, was especially generous (even his mother gave Nelson a diamond box). He sent military trophies and decorated the admiral with a Chelengk, a fine large jewel designed as an aigrette of diamonds and a traditional award for bravery, though one rarely given to foreigners. So struck was Nelson by this gift that he wore it, in traditional Ottoman manner, on his headgear and, following his elevation the peerage as Baron Nelson of the Nile, incorporated the design as a crest in his newly augmented coat of arms (Fig 1). 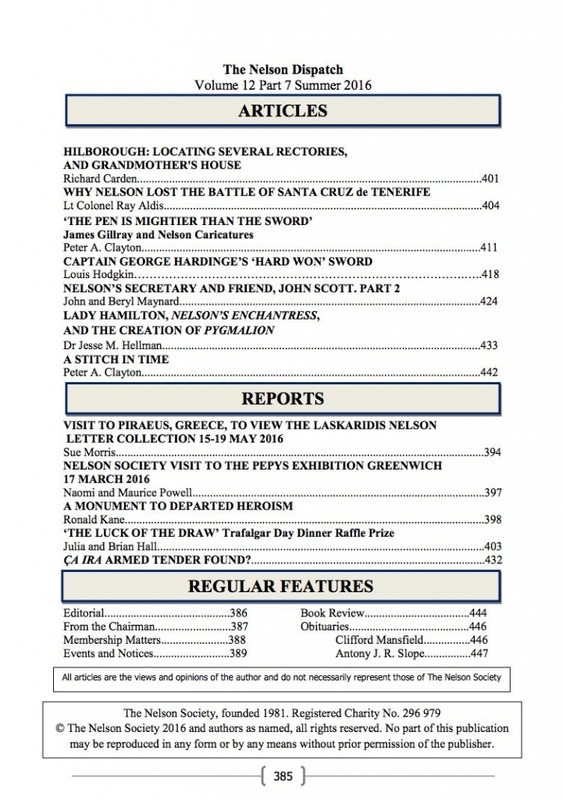 Whilst Nelson remained in Naples following his victory – embroiling himself in a civil war and an affair with the wife of the British ambassador – plans were rapidly advanced in England to rival the generosity of her many colourful allies. It was the merchants in the City of London, so dependent on security of trade in the Mediterranean, who demonstrated their gratitude in the most prodigious manner. The Turkish Company commissioned a silver cup to be presented to Nelson, the Corporation of the City of London arranged a gold and enamel sword, the prestigious Drapers’ Company made him a Liveryman whilst the directors of the East India Company voted to give Nelson the huge (and sorely needed) sum of £10,000 in recognition of his achievement. 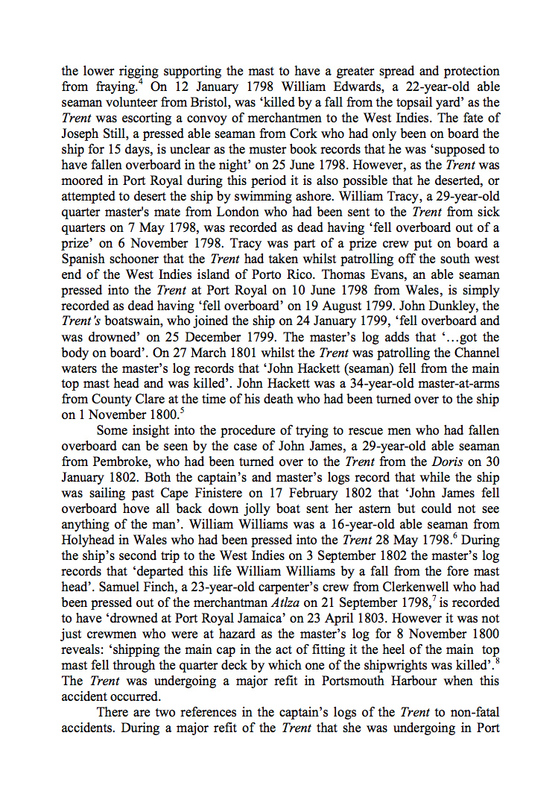 Happily, attention was not solely focused on the admiral but also on his comrades. 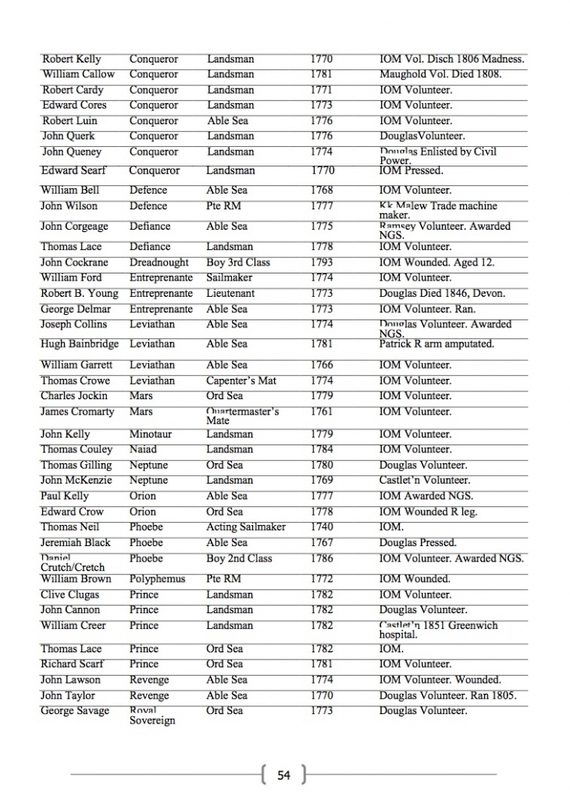 Since the outbreak of war with France in 1793, the merchants and underwriters at Lloyd’s Coffee House in the City of London had subscribed to a series of ad hoc funds to support the wounded and dependents of those officers killed in action at sea and, on occasion, to reward individuals for outstanding bravery or leadership with an award in silver. 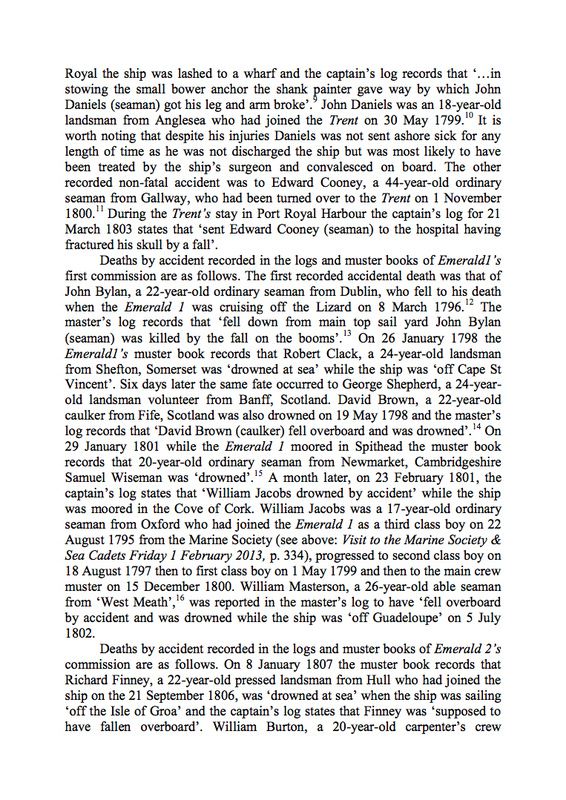 Naturally City self-interest in granting awards to promote the protection of British merchant shipping ensured the success of the funds. Nevertheless, in an era of official disinterest in such matters, the funds were the first organised and sustained attempt to provide for families devastated by war and to reward officers by merit not status. 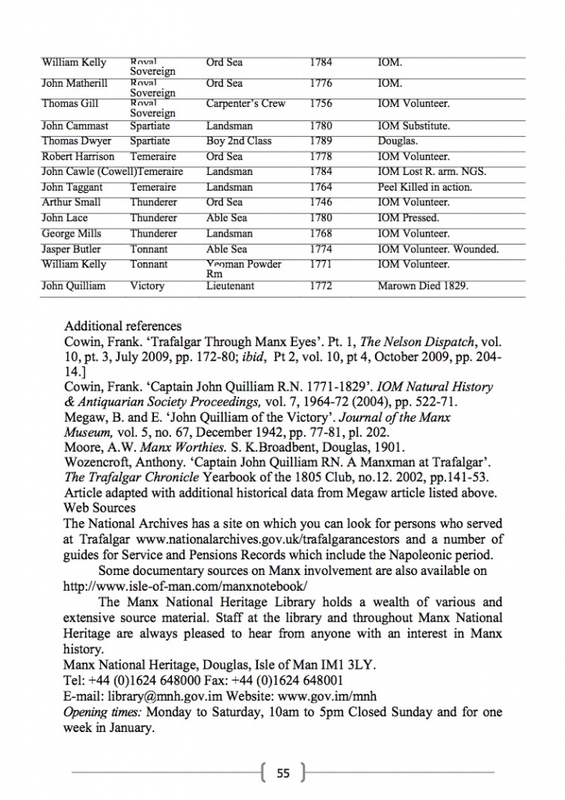 In 1803 the various subscription funds coalesced into the Patriotic Fund which continues to this day under the founding directorship of Sir John Julius Angerstein, a City luminary, former chairman of Lloyd’s and a leading philanthropist of his age. The haphazard nature of the grants were formalised into a graded system of annuities whilst officers meriting individual reward were offered the choice of a specially designed Patriotic Fund sword, silver vase or money to like value. Angerstein was very well qualified for the task having chaired the funds created after the battles of Cape St Vincent in 1797 then, a year later, of the Nile. 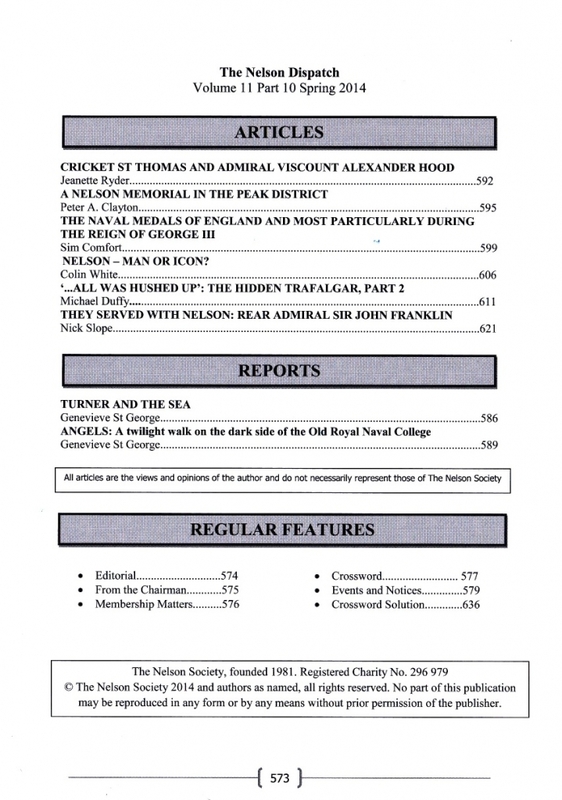 The greater strategic importance of the Nelson’s victory in Egypt is well illustrated by the disparity in subscription: £2,615 for St Vincent compared to £38,436 eventually raised for the Nile. 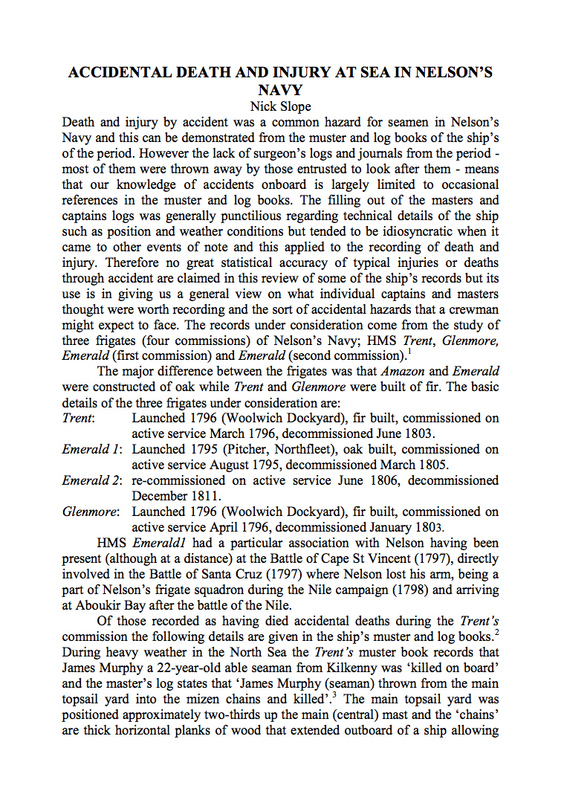 His first task after the Nile had been to enquire of Nelson as to casualties, then to relay news that the fund committee had voted £500 (approximately £40,000 in today’s terms) to be awarded to the admiral, himself wounded at the action, specifically for the purchase of silver. 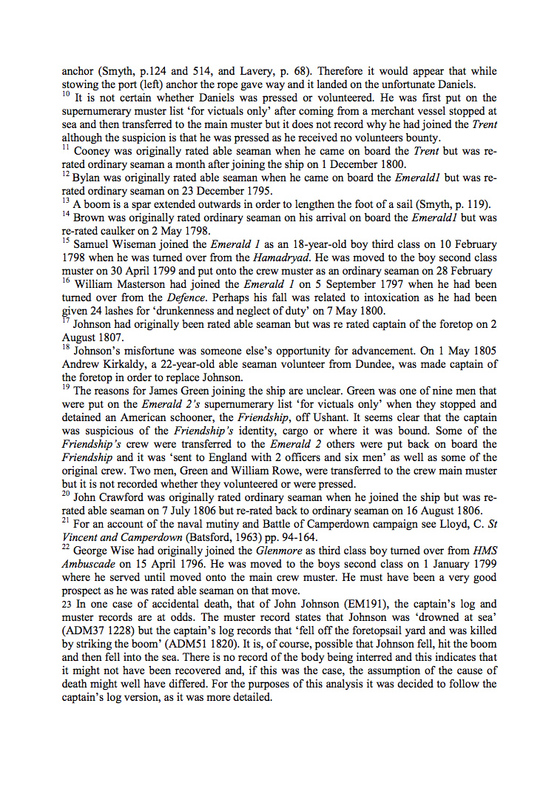 Possibly on account of Nelson’s continued absence in the Mediterranean, his uncertainty as to what to order or delay in the grant from Lloyd’s, it was not until November 1800, and the admiral’s return to London, that Rundell & Bridge, the celebrated royal goldsmiths on Ludgate Hill, submitted an ‘Estimate for a Service of Dishes for The Right Honble Lord Nelson’(Fig 2). The estimate details eight oval dishes (or plates), four circular dishes (or plates), four circular casserole dishes with covers and Chelengk crests, and four oblong ‘double’ dishes also with covers and crests (Figs 3-5), otherwise known as entrée dishes. 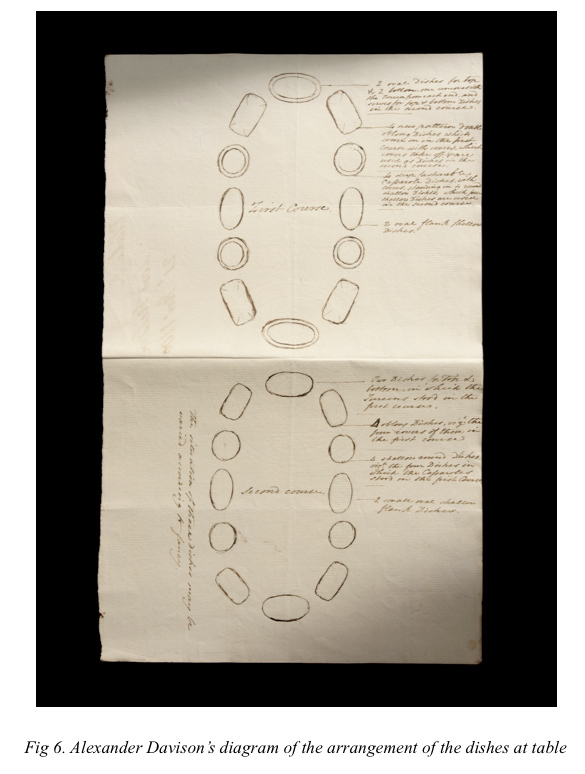 An accompanying diagram and description of how the dishes could be arranged at table (in the hand of Alexander Davison, Nelson’s friend and agent, who was charged with organising the silver), not only offers insight into the evolution of the order but also fascinating detail into the dining habits of the day. Davison, like Nelson, was a self-made man and the anxiety of both men to imitate the lifestyle of the aristocracy is clearly apparent. The worldlier Davison’s annotated instructions on how to use the dishes reads like an exercise in social manners. So he carefully explains how some dishes are recycled between courses whilst others remain on table. The ‘new pattern double oblong Dishes’ with removable crests serve both purposes as they ‘come on in the first course with covers, which covers take off & are used as Dishes in the second course ’ (Fig 6). 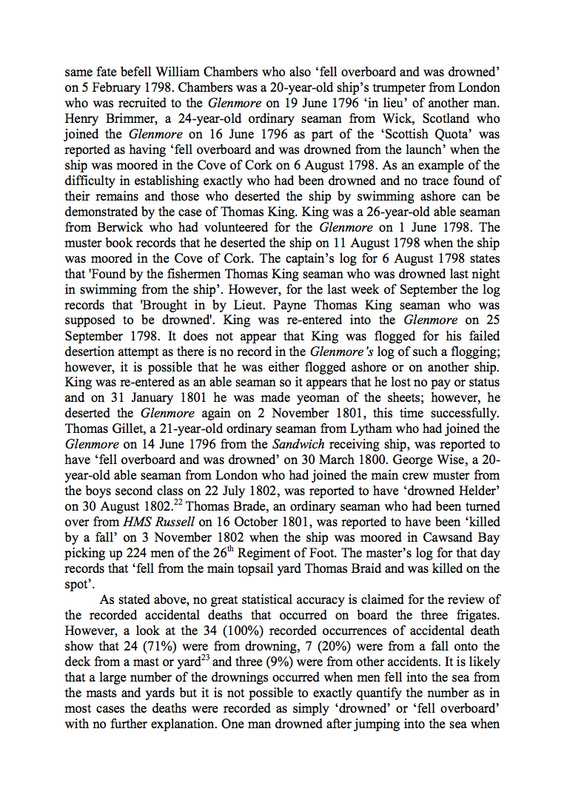 Lloyd’s 1800. Presented by the Committee, for managing a Subscription made for the Wounded and Relatives of the Killed at the Battle of the Nile, To Vice Admiral Lord Nelson and Duke of Bronti [sic], K.B., &c, &c, &c, who was there wounded, As a testimony of the sense they entertain of his Brilliant Services on the first of August, 1798, when a British Fleet under his Command obtained a most decisive victory over a Superior French Force. J. J. Angerstein, Chairman (Fig 3). The ‘4 neat double oblong double dishes to divide & serve for eight’ cost £120.18s.7d. As ‘Modelling & chasing crests for buttons to do to screw off’ cost a further £10.10s 0d; the total price for the four entrée dishes was £131 8s 7d, or the equivalent of about £10,000 today. 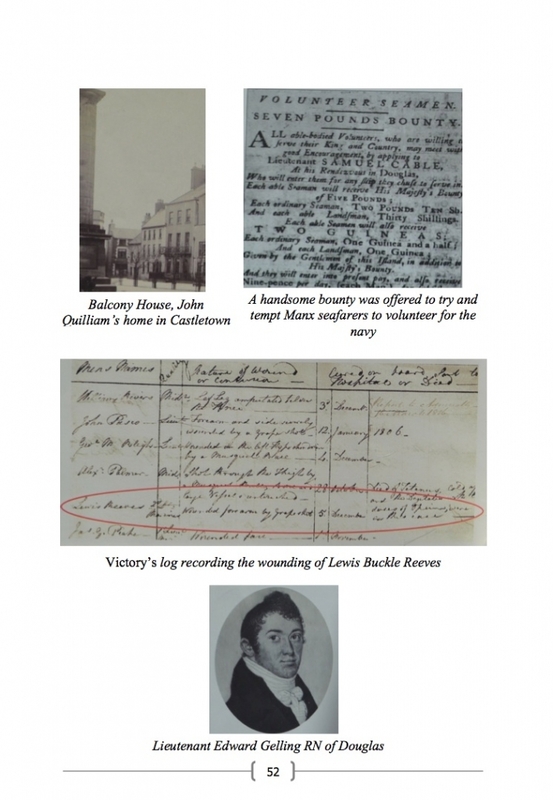 Despite the significant over spend, Davison has neatly annotated the bill ‘paid for by Lloyd’s Coffee House’ ( Fig 8). Rundell & Bridge gave the work to the workshops of Paul Storr in Air Street, Soho, an up and coming silversmith who also made the Turkish Company cup. Despite Nelson’s entreaties, it took six months to finish the service with Davison patiently explaining in January 1801 that ‘Rundle [sic] and Bridge are exerting themselves to finish your plate, but it requires time, and being confined to a few hands to work upon it’. As the service was of a plain form with conventional gadroon pattern borders, it must have been modelling, casting, chasing and engraving the unusual Chelengk crests for the eight dish covers which took the time. 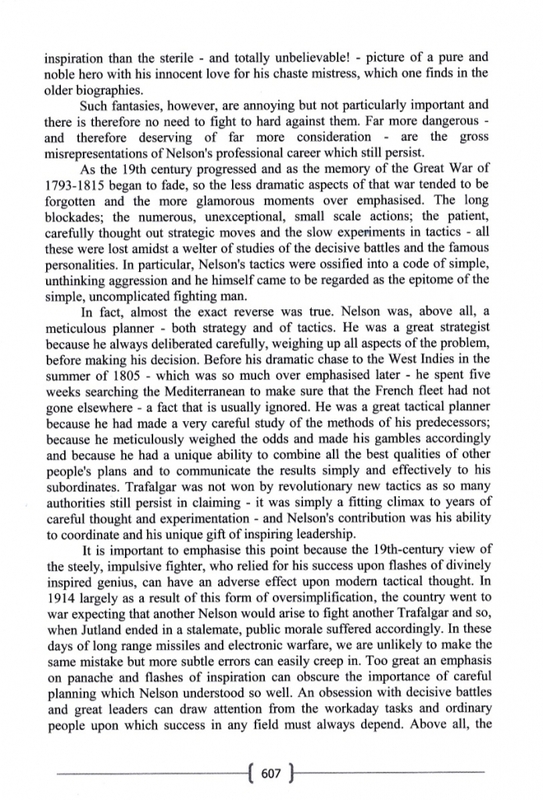 It can be assumed that Nelson showed Rundells his Chelengk – about which there had been a great deal of wild speculation in London – though Storr’s version differs significantly from known images of it. 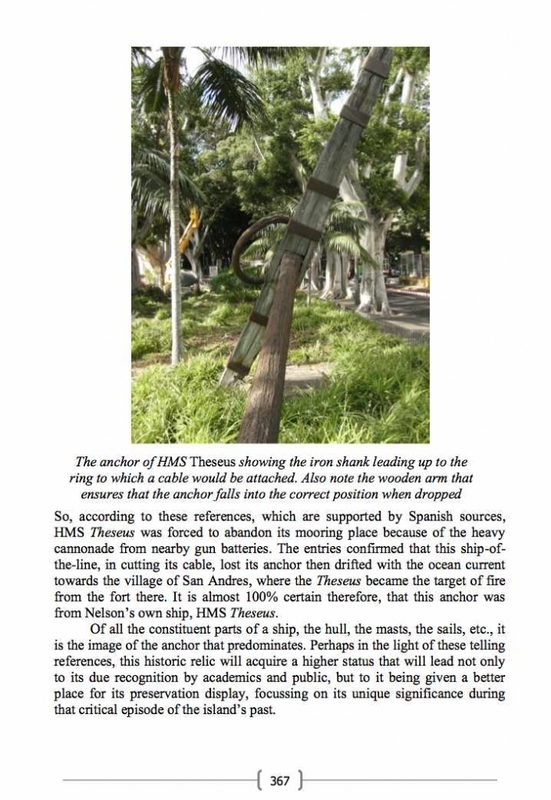 Nevertheless, as the Chelengk was stolen and lost from the National Maritime Museum, Greenwich in 1951, the model in silver gives a tantalising feel of this now almost mythical jewel (Fig 7). 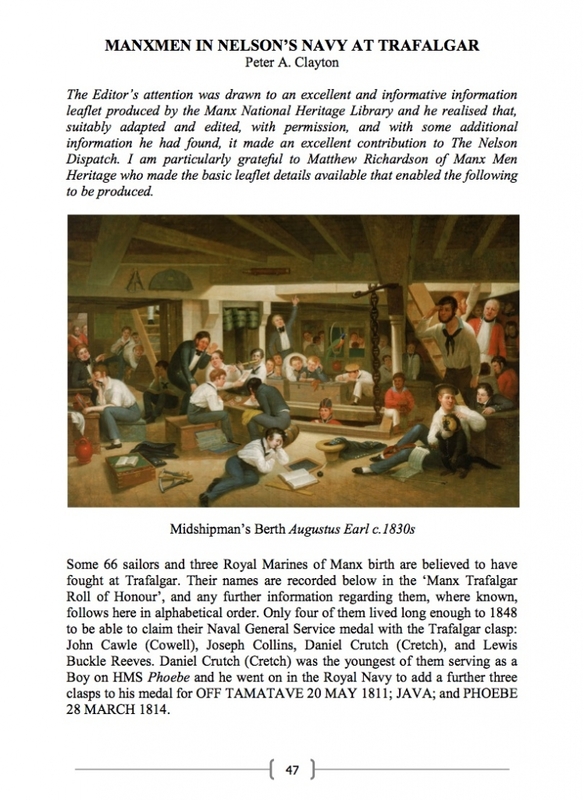 On 22 April 1801, Davison finally reported the service finished and being fitted to its travelling case ready for sending out to Nelson at sea in the Baltic. 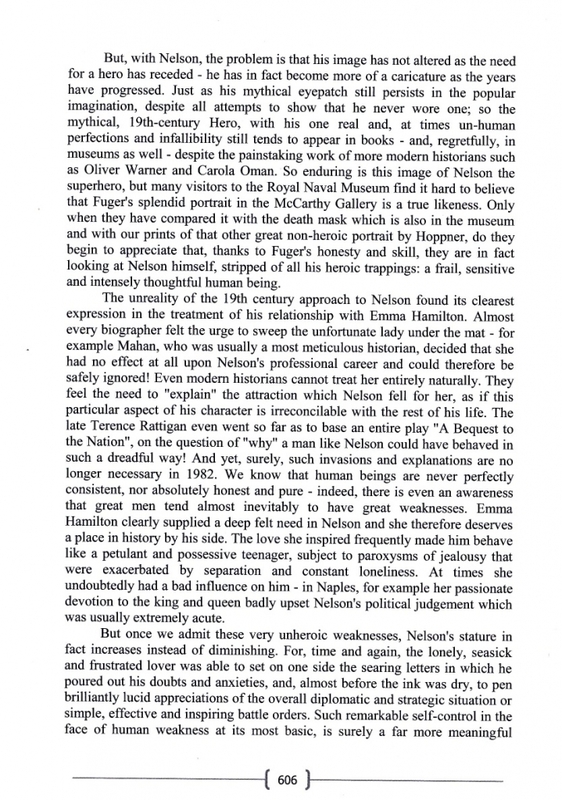 Embroiled in the bitter separation from his wife following discovery of his affair with Emma, Lady Hamilton, no doubt Nelson wished to keep the silver close at hand rather than risk losing it in possible proceedings. ‘I shall take my plate with me’ he had told Davison in February, ‘sink or swim it goes with me’. Ironically, by the time Nelson took possession of his Nile service, he had earned a second grant of £500 for silver from Lloyd’s Coffee House, having conquered the Danish fleet at the battle of Copenhagen on 2 April. Unlike its bespoke predecessor, however, items for the Copenhagen service were bought from the stocks of a variety of London silversmiths possibly to achieve better value for money, and also because Nelson, now enjoying his dishes, needed general items such as plates, sauce tureens and salts to, as he instructed Davison, ‘make a complete set’. After Nelson’s death at Trafalgar his, by then, very extensive collections of silver (including some 150 pieces by Rundells) were shared out haphazardly between his estranged wife, his brother and two sisters, and his mistress Emma, Lady Hamilton. Over the years since, most items have been offered for sale at least once and scattered into private and public collections around the world. But it is the original Nile service, extending to only 22 pieces by the leading silversmith of his age and Nelson’s first significant award, which retains the utmost scarcity and most appeal for collectors. For example, in the spate of auctions held to coincide with the bicentenary of Trafalgar in 2005, Bonhams in London sold two oval and two circular plates from the Nile service for £195,600. However, it is the eight principal dishes with their Chelengk (or aigrette) crests which are the very greatest trophies. 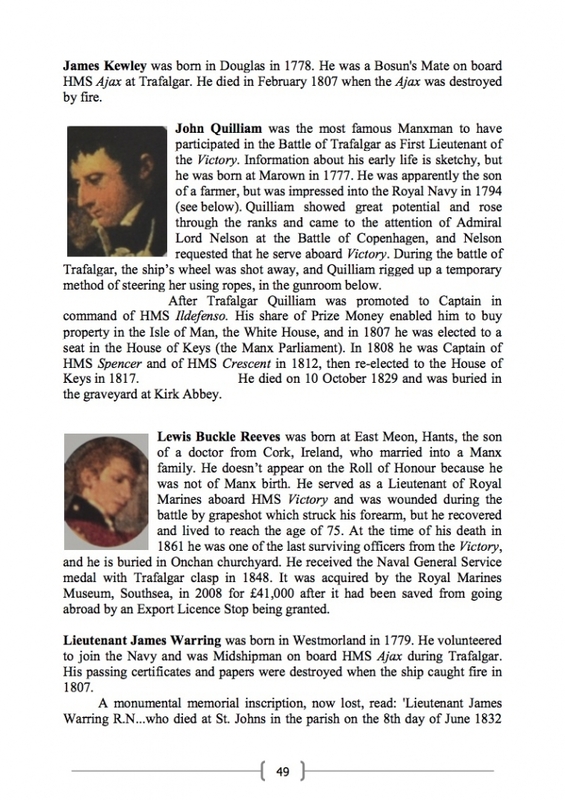 Their histories after the death of Nelson suggest that they were shared between Nelson’s sisters and his mistress. In 1814, as she faced financial ruin, Emma Hamilton signed a deed of sale for ‘four casseroles covers and aigrettes’. Three of these subsequently appeared for sale at Christies in 1895 at the dispersal of the magnificent collection of inherited Nelson relics and artefacts belonging to Viscount Bridport, the grandson of Nelson’s brother William, Earl Nelson. They were bought by Lady Llangattock who gifted them to the newly established Nelson Museum, Monmouth on her death in 1923. Of the four ‘new pattern double oblong Dishes’: three were purchased for the Nelson Collection at Lloyd’s of London in 1910 from the collection of Nelson’s sister Catherine Matcham. 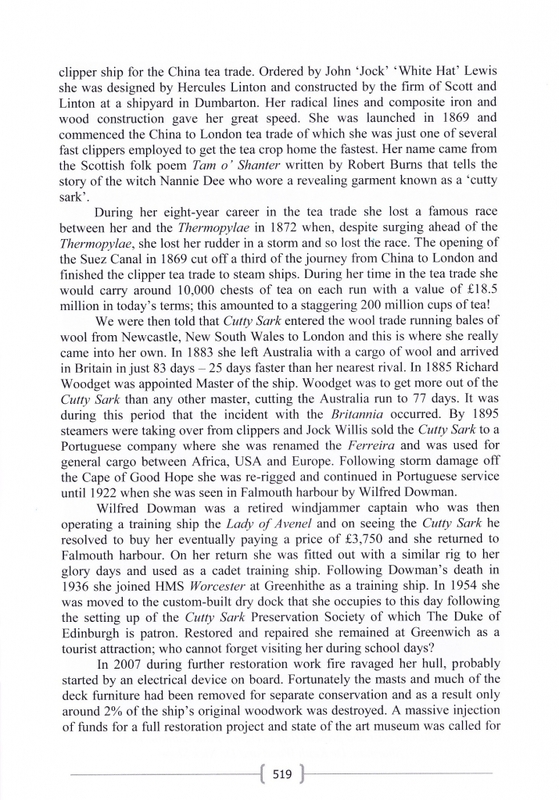 The fourth, and present example, descended in the family of Nelson’s other sister, Susannah Bolton, and was last exhibited at the Royal Naval Exhibition at Chelsea in 1891. 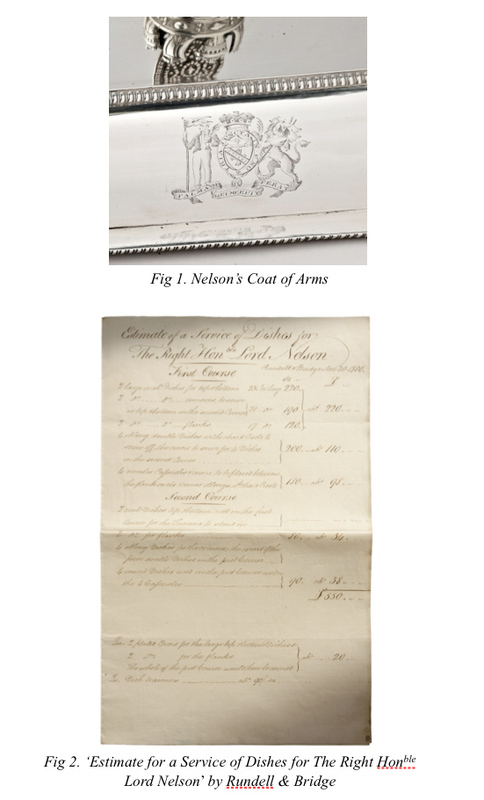 So its re-appearance is a moment of significant interest and excitement for collectors, scholars and enthusiasts of Nelson. Warren R. Dawson (ed.) The Nelson Collection at Lloyd’s, 1932. 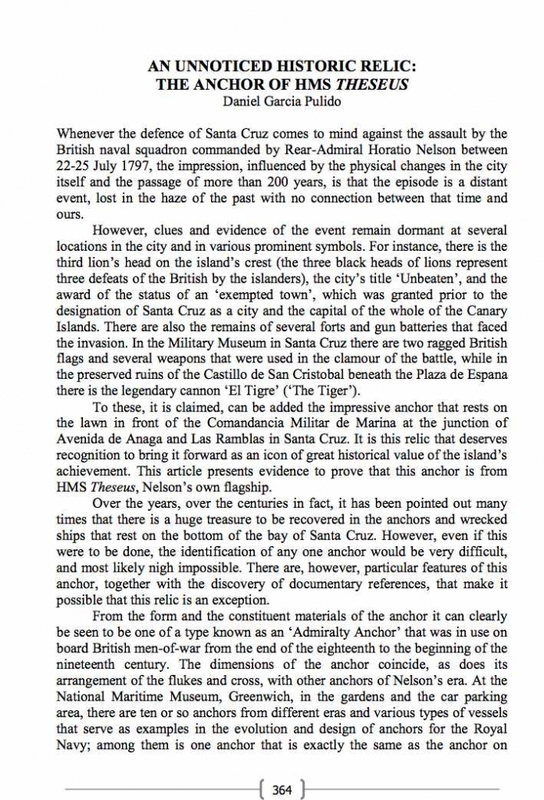 Martyn Downer, Nelson’s Purse: The Extraordinary Story of Lord Nelson’s Lost Treasure, 2004. 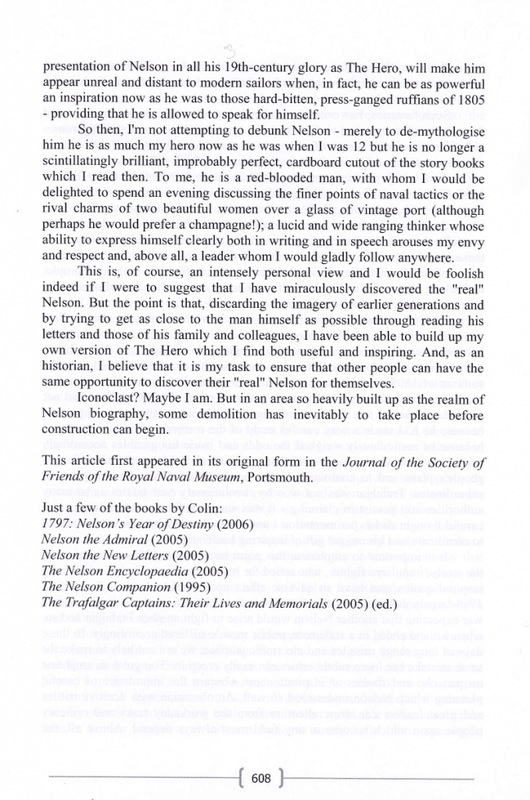 Leslie Southwick, ‘The Nelson Collection at Lloyd’s of London’, Trafalgar Chronicle, 1996. pp. 71-86. 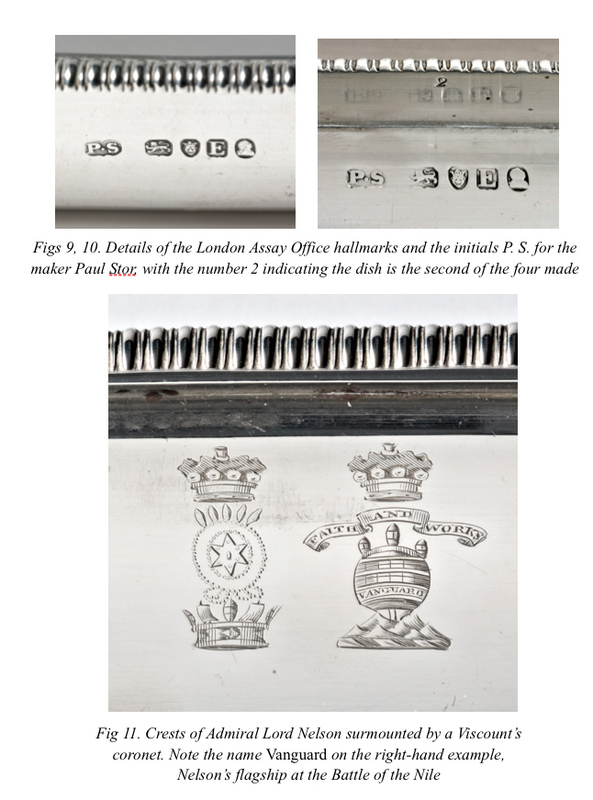 Silver studies: The Journal of the Silver Society, No. 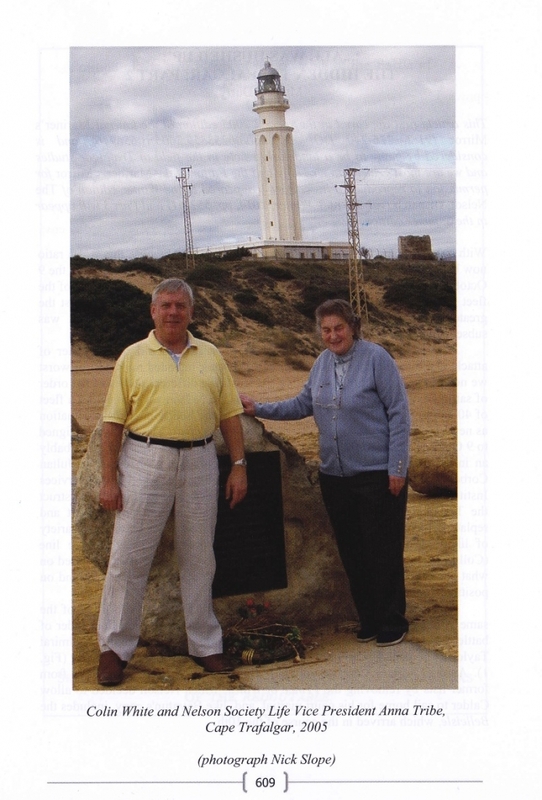 19, 2005. Highly important and historic George III armorial silver entree dish and cover presented to Admiral Lord Nelson by Lloyd’s Coffee House after the battle of the Nile by Paul Storr for Rundell & Bridge, London 1800. 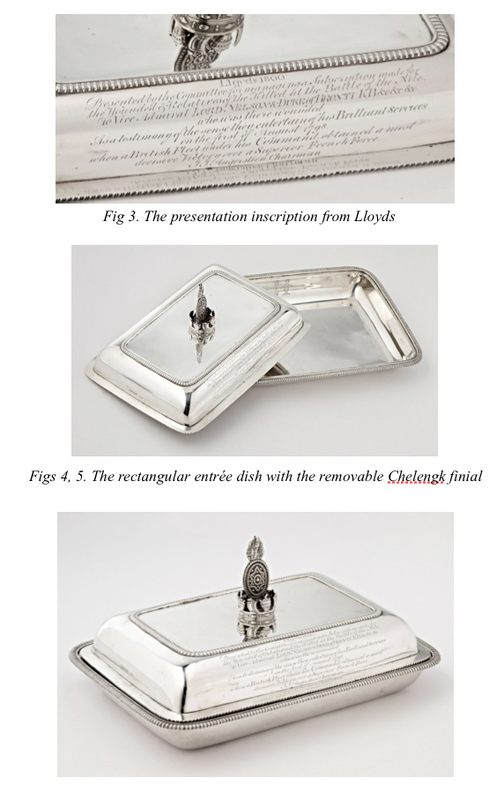 Rectangular with gadroon edges, the domed cover engraved with a presentation inscription from Lloyds Coffee House on one side and Nelson’s coat of arms on the other; with removable finial designed as the Chelengk crest of Admiral Lord Nelson. 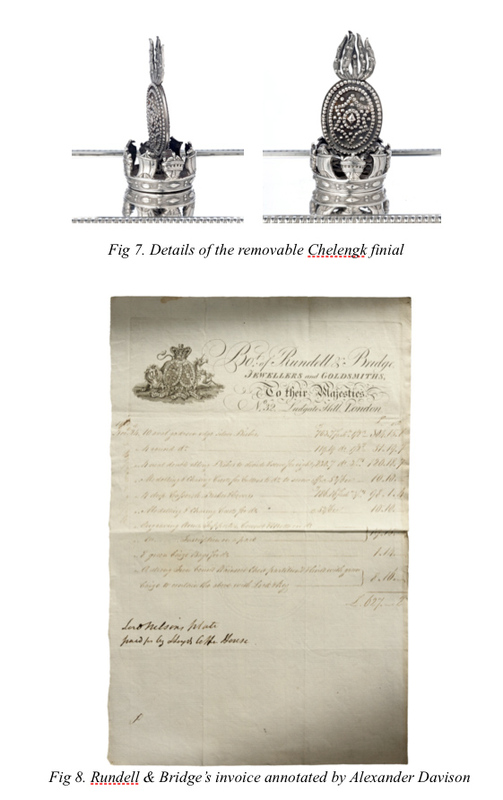 The dish cover additionally engraved inside with the crests of Admiral Lord Nelson. Cover and dish numbered No. 2 (of original set of four). 56.79 troy oz / 1,766.30 grams (Figs 9-11). Susannah Bolton, his eldest sister. 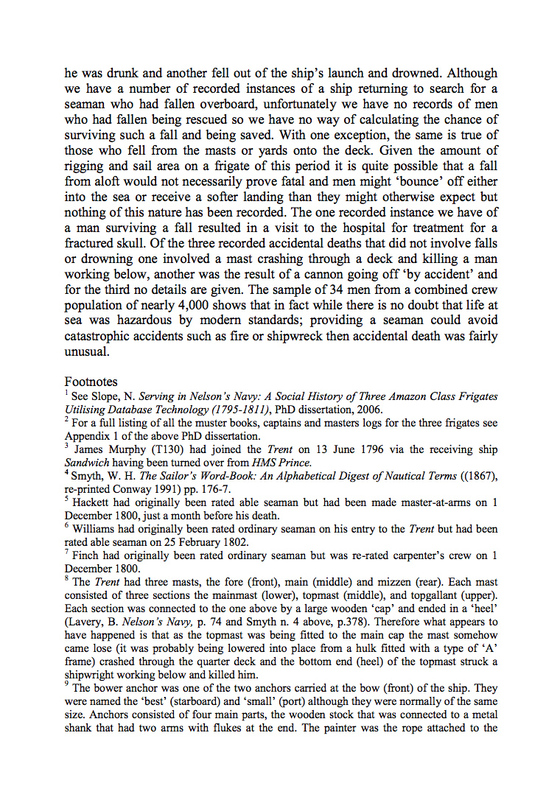 Thence by direct descent to the present owners. Nelson’s monogrammed diamond anchor brooch. £160,650. Nelson’s armorial porcelain wine coolers. £94,650. 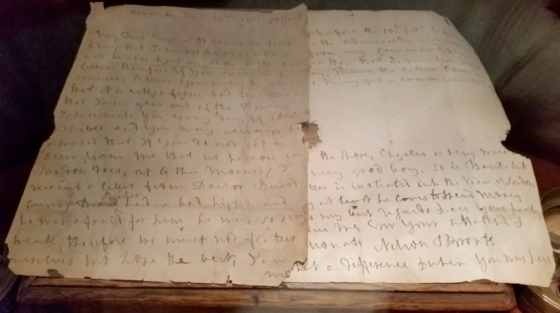 Nelson letter to Emma, Lady Hamilton. £117,000. Nelson’s pocket watch. Price undisclosed. Nelson’s portrait by Lemuel Abbot. £299,200. Nelson’s gold handled walking cane. £220,800. Pair of silver sauceboats from Nelson’s Copenhagen Service. £120,000. Three silver plates from Nelson’s Nile Service. £170,400. Nelson’s Order of the Bath silver breast star, Sale estimate £300,000-£500,000. Not sold, but bought after the sale, and remaining in the UK. Silver entrée dish and cover, no. 2, from Nelson’s Nile Service, sold to a British private collector. Price undisclosed. What you can find in the April 2013 issue of the Nelson Dispatch.